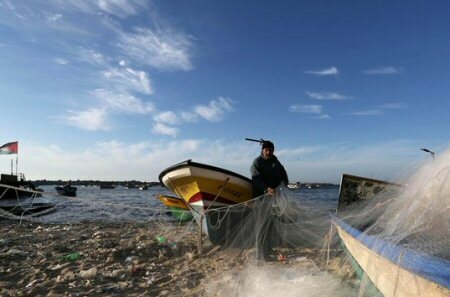 Israeli naval forces, on Sunday, opened fire at Palestinian fishermen off the coast of the besieged Gaza Strip. Locals told Ma’an News Agency that Israeli naval forces repeatedly opened heavy fire towards Palestinian fishermen in southern and northern Gaza, forcing fishing boats to sail back to shore. No injuries were reported from the incidents. The Israeli army regularly detains and opens fire on unarmed Palestinian fishermen, shepherds, and farmers along the border areas, if they approach the unilaterally declared buffer zone.